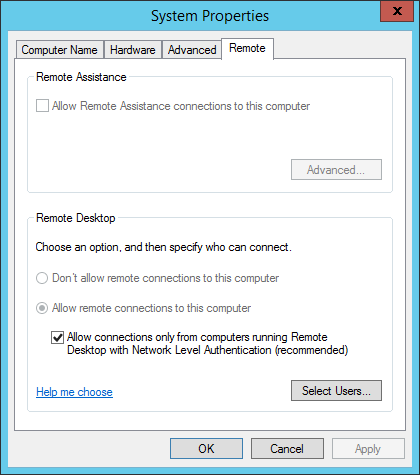 I noticed this morning that my older thin client terminals started getting errors connecting to our central remote desktop session hosts. 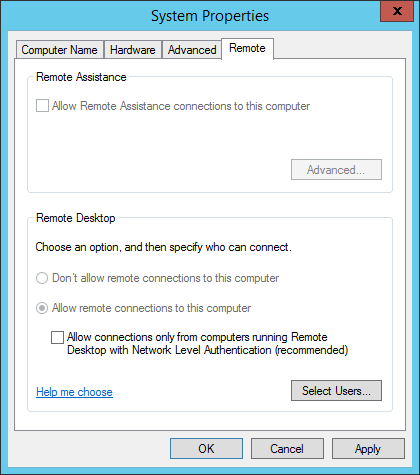 It appears update KB 3075220 - part of KB 3080348 - just rolled through my session hosts over night and turned on the Network Level Authentication requirement. I disabled the requirement by unchecking the "Allow connections only from computers running desktop with network level authentication" and it appears I'm back in business. Thanks for the early morning fire drill Microsoft.